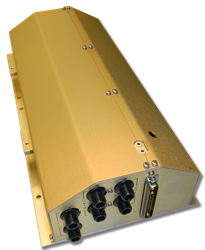 CPI Beverly Microwave Division offers an array of CW, TWT power supplies for use in electronic warfare, electronic counter measures, and radar applications. These high reliability supplies are airborne qualified, high altitude compliant, and features pod mounted capabilities. For more information on these power supplies, download the full brochure.